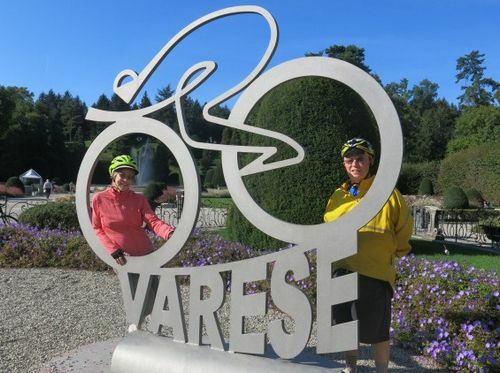 On behalf of my wife, Sandra, together with Carole and Roy Hill, I'd like to express my appreciation to the hotel , its serving staff and, especially, to our bicycle guide, Stefano, for making what could have been a distressing week in Varese such an enjoyable one. 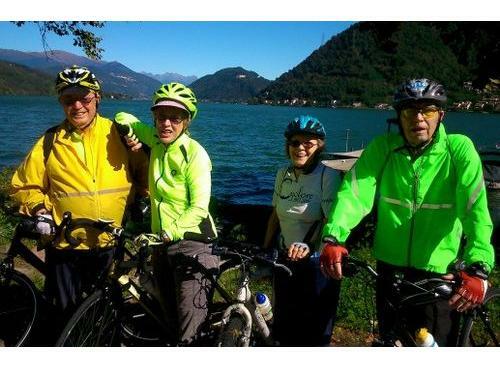 When we made our reservation last April, we had no way of knowing that Roy would have a serious fall on his bicycle in Canada just weeks before leaving for Italy. The nearly 4 week gap following his fall in which Roy was unable to ride, obviously affected his ability to climb the hills around Varese. That Stefano was able to alter our planned routes to make them less steep and shorter on such short notice showed remarkable planning flexibility. After the first night, we also enjoyed all of the restaurants arranged for us to eat at - especially for me the two nights at the fish restaurant. And the after cycling late lunch servings "hit the spot" (I.e. they were exceptionally welcome). The bicycle I rode on was among the best I have ridden because it was super light with easy changing gears. Thanks again for a very enjoyable week in quite difficult conditions.